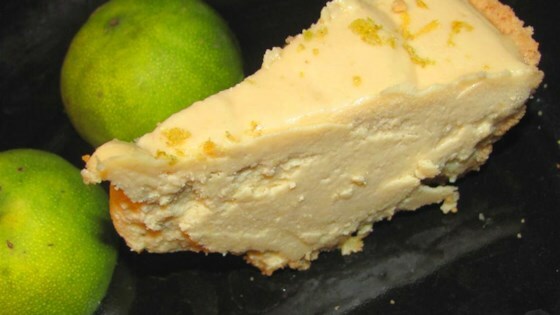 "This dairy-free recipe can be made as bars or a pie - it's thick, creamy, and full of limey goodness. Be sure to keep it refrigerated, as it relies on coconut oil to keep its shape." Combine walnuts, coconut sugar, 2 tablespoons coconut oil, and 1 tablespoon honey in the bowl of a food processor; pulse until fine, moist crumbs form, about 3 minutes. Press the crust mixture into the bottom of a 9-inch square baking dish. Place cashews, lime juice, 1/2 cup honey, 5 tablespoons coconut oil, 1 tablespoon lime zest, and salt in a blender. Blend together until very smooth, about 4 minutes. Pour filling mixture over prepared crust. Refrigerate until set, at least 20 minutes. Top with 1/2 teaspoon lime zest before serving. Double the filling recipe if making a pie. Turned out a soupy mess. I made this to the recipe. Was delicious. Tart and sweet. I love that it's dairy free. My family loved it.